THE RISKS OF THE TECH REVOLUTION. Innovation is encouraged but Chris Hall looks at why fintech may be doing more harm than good in some cases. Ten years after the global financial crisis wreaked havoc in unpredictable ways thanks to poorly understood linkages, questions are now being asked as to whether the introduction of new technologies and services by non-traditional providers will add further risk and complexity to an ecosystem still weakened by self-inflicted wounds. The potential risks of too rapid adoption of fintech innovations to the stability of the global financial markets were clearly highlighted by DTCC’s paper – Fintech and Financial Stability– Exploring How Technological Innovations Could Impact the Safety & Security of Global Markets. 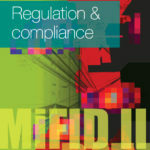 Some of these risks have begun to emerge in the securities transaction chain, others less so. 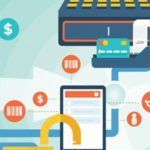 Whilst retail banks are menaced by alternative payment service providers and robo-advisors nibble at wealth managers’ margins, global broker-dealers, their buyside counterparts and securities market infrastructures have not yet faced significant direct fintech challenges, notwithstanding the plethora of fixed-income platforms launched post-Basel III. This is partly due to aforementioned complexity, as well as the recent pace of technology-enabled change within the sector. It’s also down to timing. “Banks were weak in the aftermath of 2008, but the window for meaningful disruption from fintech rivals is now over,” says John O’Hara, formerly chief architect for global equities at JP Morgan, now CEO of Taskize, a startup that offers a standardised, automated platform for resolving settlement failures and exceptions across securities market counterparties. Systemic stability may not currently be under threat in the securities markets, but new technologies and partners still pose significant risks. 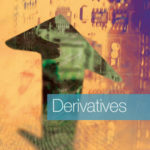 Taking its own medicine, the DTCC has adopted a high degree of due diligence in migrating its Trade Information Warehouse (TIW), which processes and reports credit derivatives, onto a platform that leverages cloud computing and distributed ledger technology (DLT). A request for proposal (RFP) process was conducted in mid-2016, a relatively early stage in DLT’s maturity. “Risk mitigation was top of mind, meaning vendor risk assessments were a key priority, but we also needed a combination of different types of expertise,” says Jennifer Peve, co-head of DTCC’s Office of Fintech Strategy. DTCC chose IBM as project lead, supported by DLT (distributed ledger technology) infrastructure and smart contract application provider Axoni, with R3, the finance sector blockchain development consortium, acting as solution advisor. The project team’s skill set balanced the desire to fully optimise DLT’s promise against the industry’s risk management imperatives. 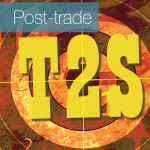 Trade-offs were inevitable, says Peve. Discussions were required with client CISOs, for example, on how much functionality to include on smart contracts, due to the limited availability of validation tools for the chosen programming language. “There was a time when DLT was seen as disruptive to market infrastructure operators, but this evolved as clients expressed a desire to work collaboratively with incumbents and build risk mitigation into the implementation of this and other new technologies. In part, this was in recognition of the importance of governance and resilience measures put in place by market infrastructure providers,” she says. DTCC started exploring DLT’s potential at the behest of users. The genesis and development of the project reflect the cautiously proactive approach of banks and market infrastructure operators. When budgets are still tight, margins, and revenues and fees still low, while costs and customer expectations continue to rise, incumbents know they must embrace change. Taskize ‘sits’ on top of existing systems, helping back-office staff to fix breaks when STP fails, rather than replacing core kit. Nevertheless, clients are alive to new risks lurking within the emerging ecosystem. “So many fintechs run on Amazon Web Services (AWS) that it has been identified as a potential systemic risk. Banks ask us how quickly we could re-platform. If AWS went down tomorrow, we’d be back up within 48 hours,” says O’Hara. Some sell-side firms are positioning themselves as safe conduits for fintech into the securities value chain. State Street has instituted a digital product development and innovation team which coordinates between fintechs, the firm’s main business divisions and their clients, to identify nascent technologies and solutions with the potential to improve process efficiencies and / or generate new revenues. The buyside is experimenting with alternative data sets for possible integration into the investment process. 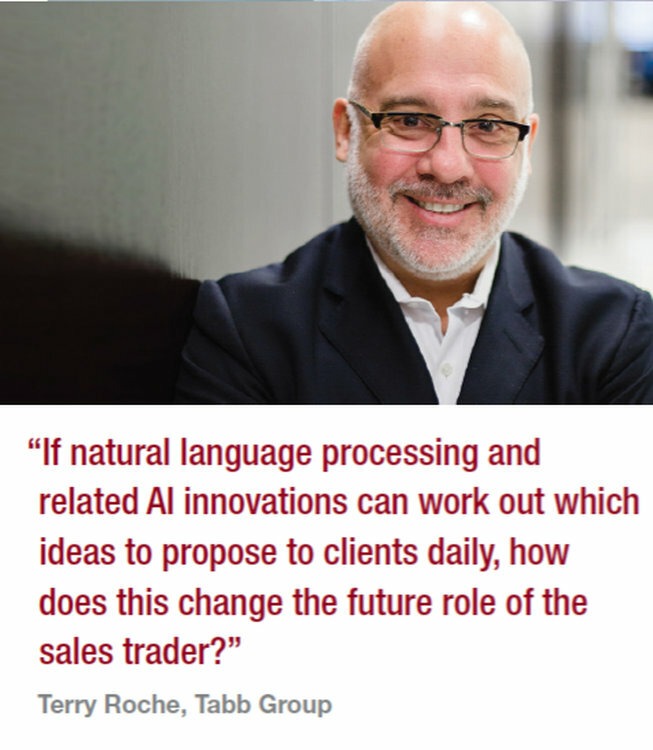 According to Bill Stephenson, founder of the AIR Summit and ex-global head of trading at Franklin Templeton, the trading desk may initially prove more fertile ground for AI. Large asset managers have already invested in in-house quant capabilities to improve trade automation, with data scientists poring over TCA and related data sets. 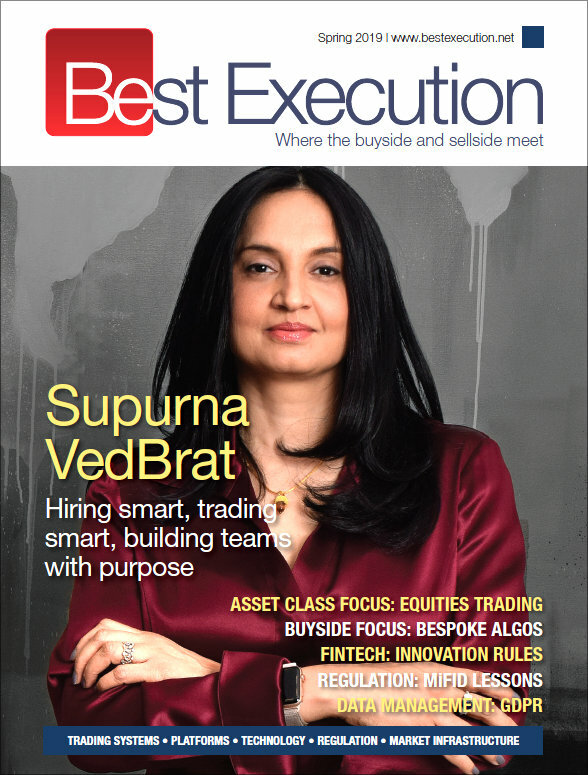 In the next issue of Best Execution, we’ll look at how regulators are managing the risks of fintech growth.